Put your hands together, y'all, for the hottest teen pop sensation to come from Tennessee to Malibu, Miley Stewart, aka . . . Hannah Montana! New on DVD! 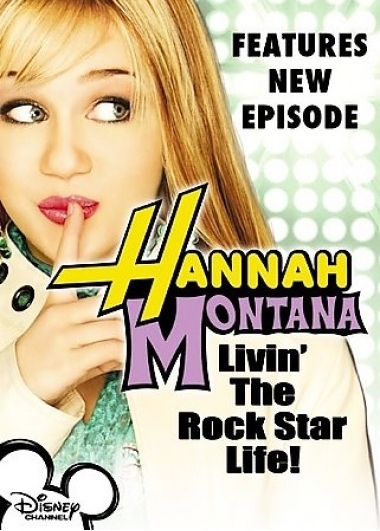 Watch three of your favorite episodes and one you've never seen before from the smash-hit Disney Channel original series -- plus rockin' exclusive bonus features including a behind-the-scenes look at Miley's world, music videos, and more. Hannah Montana is living the rock star dream, with cool concerts, lots of limos, and a huge closet full of the latest styles. And the best part is, nobody knows that underneath all the glitz 'n' glamour she's simply sweet Miley Stewart. Y'all won't believe all the hilarious things she does to try to keep the biggest celebrity secret in the world from her best friends Lilly and Oliver while navigating the challenges of homework, crushes, and being accepted into the local social scene. It all works out, though, because this chick totally rocks!